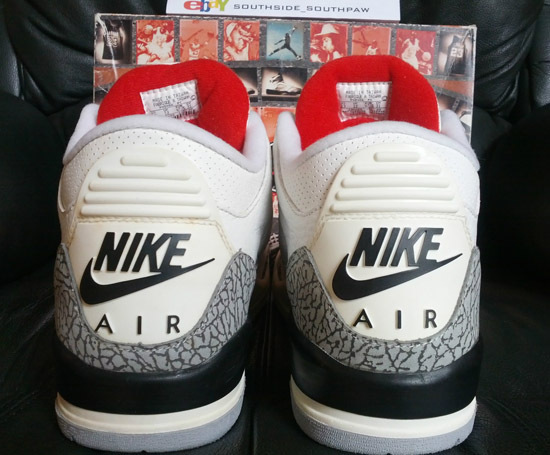 As we prepare for the return of "Nike Air" on the upcoming Air Jordan 3 Retro '88 release, here's a look at the rare 1994 Retro. Check out the auction here. Michael Jordan retired from professional basketball for the first time in 1993. Because of this, Nike wanted to commemorate his legacy by retroing some of the first Air Jordan models. 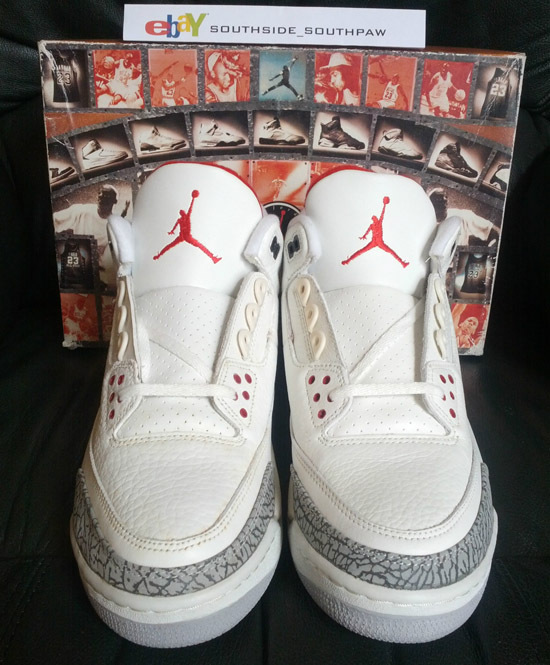 They got from the Air Jordan I to the Air Jordan III before MJ announced he would be returning to the NBA. 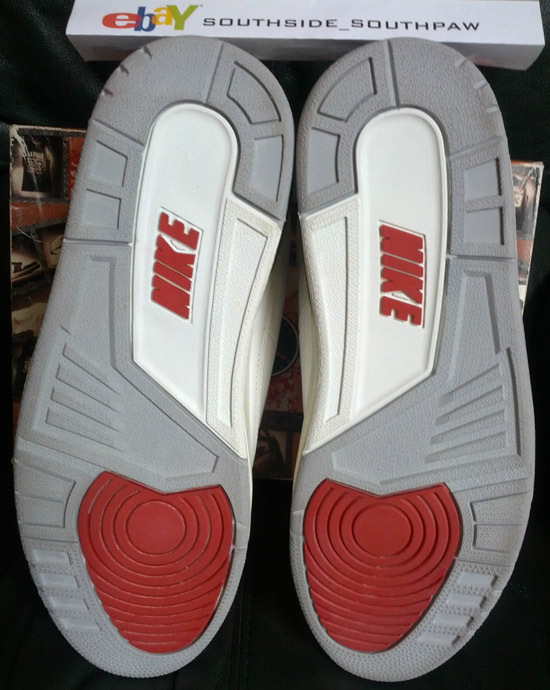 Two colorways of each model were retroed. For the Air Jordan 3 Retro, we saw the original black/cement grey and white/cement grey colorways re-release. 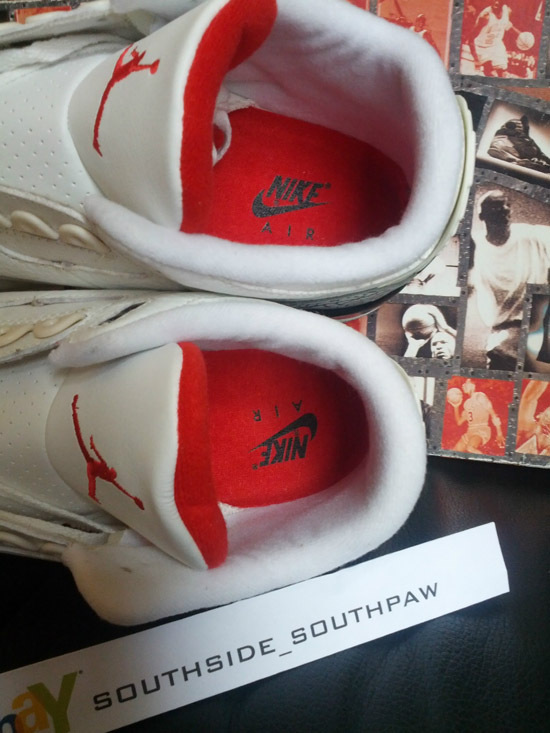 Both pairs, true to the original featuring "Nike Air" on them. They came in a special box designed for the 1994 Retro series and, came with a special retro card. 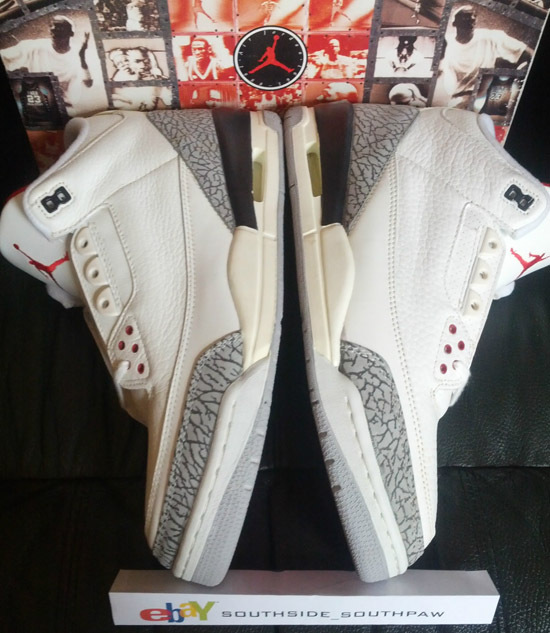 When the white/cement grey Air Jordan 3 Retro was re-released for a second time in 2003, all Nike insignia had been replaced by Jordan insignia. The same thing went for when this original colorway was retroed for a third time in 2011 even though that pair came in an OG-style box. 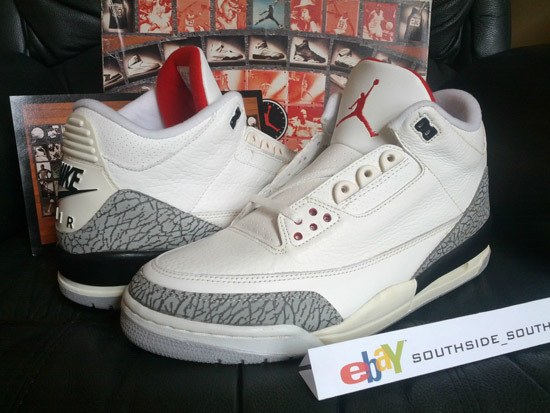 Now, twenty five years after the Air Jordan III debuted, "Nike Air" is returning to them. 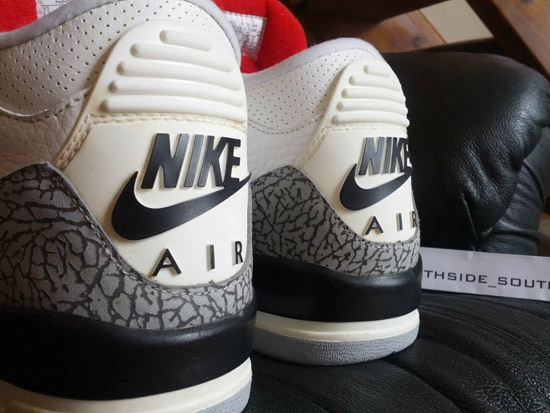 Set to release in February will be the fourth retro release of the original white and cement grey colorway. Coming in an OG-style box like the 2011s releases and now featuring "Nike Air" on the back heel. They are one of the most anticipated releases of 2013 and will be very limited available at select Jordan Brand accounts worldwide retailing for, $200. 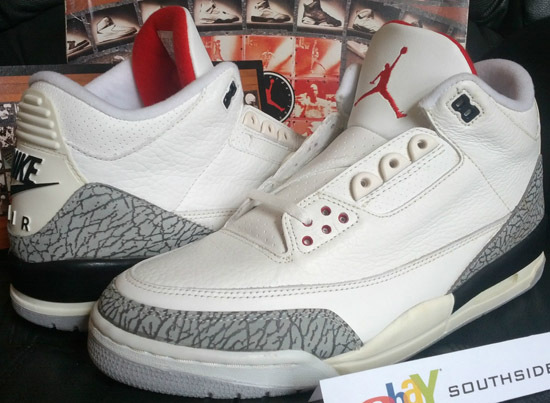 While everyone is preparing for this weeks Air Jordan 3 Retro '88 release, today we take a look at a rare pair of the 1994 Air Jordan 3 Retro white and cement grey edition. These are very hard to come across these days, nineteen years later. Especially in brand new, deadstock (DS) never worn condition with their original box and retro card. Enjoy the images below and if you'd like to add these gems to your collection, click here to buy them on eBay.